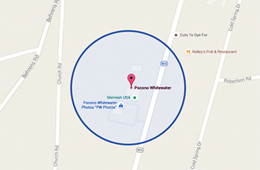 Working is fun with Pocono Whitewater! Pocono Whitewater is now hiring for seasonal full and part time positions in all departments! E-mail us an application (employee application) or stop by 1519 Route 903 Jim Thorpe to fill one out! Reservationists. Full & Part Time. We are currently hiring for Lehigh River Rafting Guides. 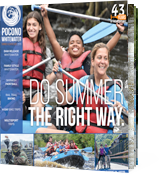 Please fill out the online employee application and then email to: Guide@PoconoWhitewater.com OR mail to: Pocono Whitewater, ATTN: Andy, 1519 State Route 903, Jim Thorpe PA 18229. Keep in mind guide training requires pre-registration, therefore walk-in’s will not be accepted. Pocono Whitewater River Guide Training Sessions: Training will start mid-May and continue through June. The manager will provide you with dates once you submit an application. We are currently hiring drivers to shuttle our guests to the river and bike trail. Please fill out the online employee application and then email to: HR@PoconoWhitewater.com OR mail to: Pocono Whitewater, ATTN: STEVE V. (Transportation Manager), 1519 State Route 903, Jim Thorpe PA 18229. We are currently hiring for our Whitewater Rafting, Biking, and Skirmish Paintball Retail Stores. Customer service and register experience are a plus but training is available. Please fill out the online employee application and then email to: Retail@PoconoWhitewater.com OR mail to: Pocono Whitewater, ATTN: SCOTT (Retail Manager), 1519 State Route 903, Jim Thorpe PA 18229. Want to learn more about our Whitewater Rafting Adventures and everything else we offer? Grab your copy of our FREE in depth catalog today! © 2019 Pocono Whitewater. All Rights Reserved.